There seems to be a dearth of helpful resources outlining strategic ways that organizations can provide women with empowering and meaningful mentoring opportunities from a global perspective. This effort will include the following objectives: 1) provide a review of research on mentoring women in general; 2) provide a review of conceptual and empirical research available on the mentoring experiences of women in specific positions; 3) discuss the global implications of mentoring and empowering women; 4) provide suggestions and recommendations related to future opportunities that may assist women in obtaining more career and professional development opportunities globally. Several authors provide narratives on their experiences in higher education positions. Women's experiences are unique and specific. Therefore, these experiences need to be documented in the literature as a way for women to become empowered within the higher education arena. This book chapter seeks to provide meaningful experiences of women and their perceptions of being mentored in higher education. Historically, the percentage of women in higher education has been small. However, in the last thirty years, the number of women professors has increased significantly along with the challenges that women face in occupations that have traditionally been male dominated. 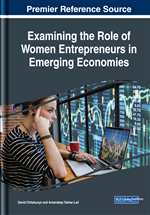 Keeping the dialogue alive about women in positions in corporate America, women in global economies, and women in management or entrepreneurial positions is important. It is important in the growing labor force globally as women bring uniqueness, an inspiring voice, and a great level of expertise that has been documented as being a significant force in society. Past pioneers on women’s issues and equality demonstrate the long level of the cause and the persistent need to continue to voice the rights of women in general. Specifically for this effort, the challenges that women in higher education positions face are different in many instances than their male counterparts. From a global and entrepreneurial perspective, women in management and higher education positions (e.g., faculty) are traditionally paid lower than their male counterparts with the same degree, same scholarly achievements, same amount of publications and grants received, and with similar pedagogical backgrounds. Additionally, women in the workforce have encountered biases, discrimination, harassment, and unequal treatment globally. Despite these factors, women continue to make progress and succeed. As such, it is important for women to receive mentoring in order to successfully remain in higher education. Mentoring is one of the key determining and empowering factors for measuring whether women faculty stay in higher education positions or decide to leave. Surprisingly with the available literature that suggests how mentoring is successful to retaining women in higher education positions, there seems to be a dearth of helpful resources outlining strategic ways that organizations can provide women with meaningful mentoring and professional development opportunities in certain careers from a global and entrepreneur perspective. In addition, there seems to be a lack of resources that women in higher education can call upon to receive advice on how to effectively matriculate in positions in higher education. Women may experience more opportunities of being belittled, disenfranchised, or being placed in mediocre positions. This effort will include the following objectives: 1) provide a review of research on mentoring women in general; 2) provide a review of conceptual and empirical research available on the mentoring experiences of women in specific careers; 3) discuss the global implications of mentoring women in these careers; 4) provide suggestions and recommendations related to future opportunities that may assist women in obtaining more career and professional development opportunities globally.